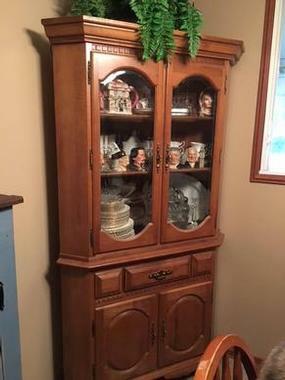 Very solid maple - Made in Canada - corner cabinet. Tons of storage but doesn't take up much space. Two pieces for easy moving. Perfect for your collectibles - good china - books - anything!